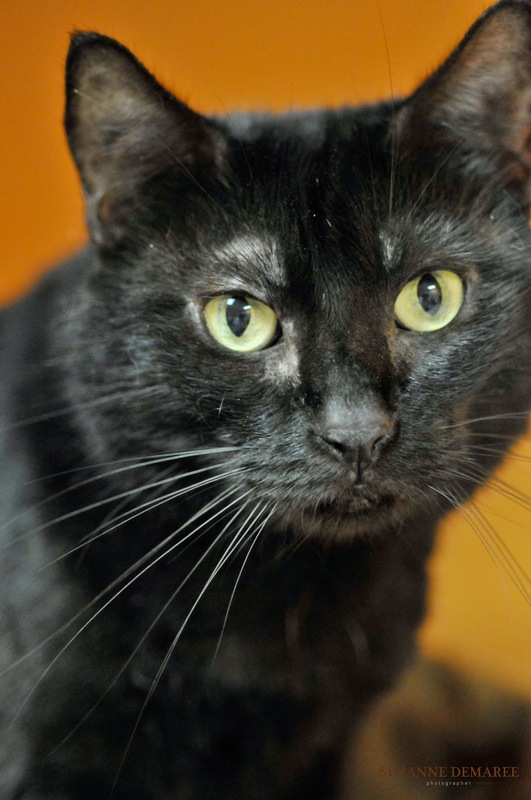 Pet Adoption | Rockport-Fulton Humane Society: Lucky "Sylvia" Has Her Adoption Fee Pre-Paid! I'm Sylvia and I'm one lucky kitty looking for a home because my adoption fee is already paid by someone I've never even met. Isn't that amazing! They say black cats aren't lucky, but that's not true in my case. You'll never guess how it happened. This woman in Oregon ordered an item from a catalog company in Rockport a few weeks ago. Her purchase was wrapped in a newspaper. She unfolded the paper, saw was my picture and couldn't forget my beautiful eyes. She called the Humane Society where I live, and prepaid my adoption fee for whomever they approve to adopt me. I'm a sweet friendly female kitty and would love to meet you. Women don't discuss their weight or exact age, but I'm a full-figured girl and a little over 8 years old so I have a lot of good years ahead of me. Come see me in Cattery 2, and don't forget my adoption fee is already paid!